I love yellow and denim, and I love black and cognac together! And yes, I love a lot of things, I love this spring weather!! Gimme those cool windy days... <3 Hope you have a great rest of the week! 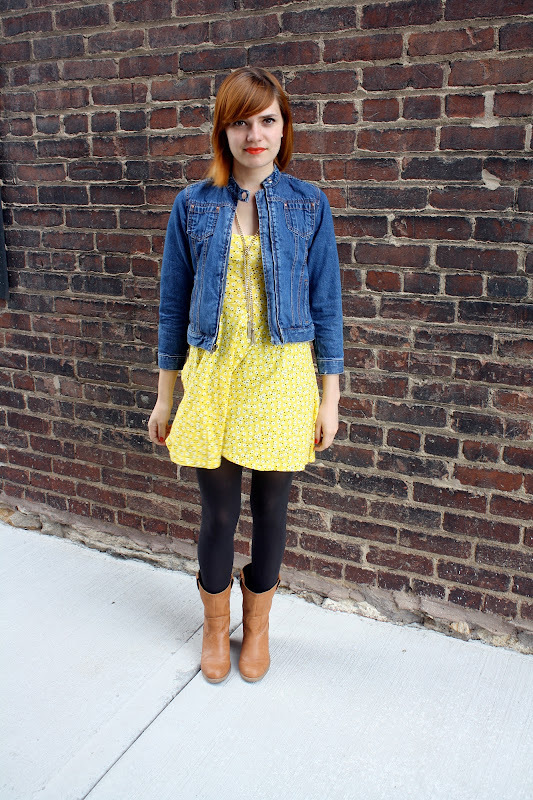 This floral sundress is so cute and I love how you made it weather appropriate with the jean jacket and tights! Very cute! Sorry I haven't commented in a while. It is, for some reason, impossible to comment via Bloglovin when the comments come up on a separate screen. But I do read your blog every post and so much enjoy your cute looks! Oooh, I love the yellow, grey, and denim all together! As for the short boots, I have the hardest time knowing how to style them when they're not with jeans/pants/leggings. Very cute! Adoring the sort of 90s styling you've got here...that yellow eyelet is so sunny and summery! I LOVE your yellow dress! It goes perfectly with the denim jacket. Adorable outfit! 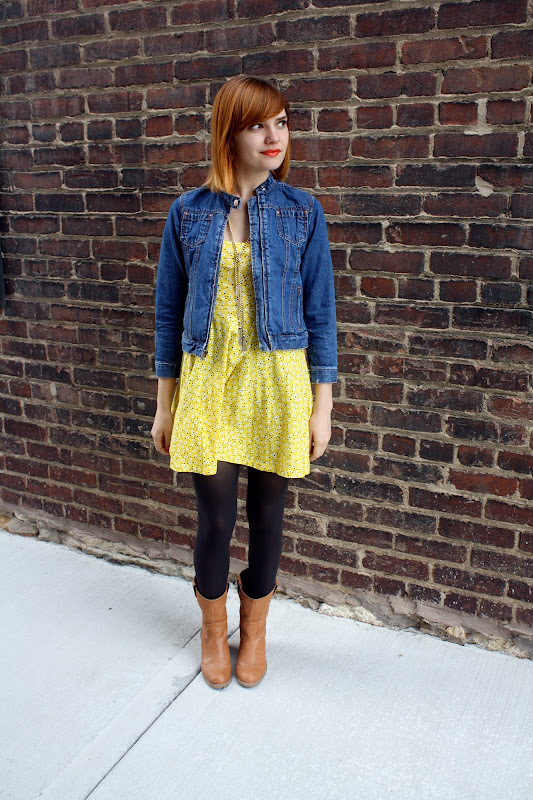 The combination of your yellow dress and denim jacket is absolutely perfect! Those boots are super cool too. Such a cute look. Love the outfit and Smile!